4” ports, low stress mount system. Aluminized epoxy lining. American made NVE premium high power vac pumps. 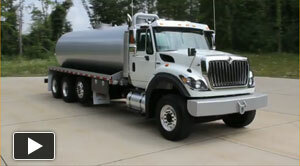 Let us spec your truck and vacuum tank. We understand the abuse your truck will get. We spec it to keep on working long and hard. 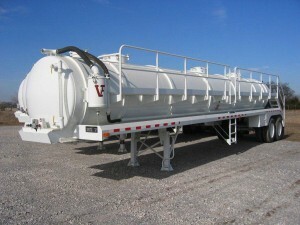 All tanks are double welded by certified welders. Then tested and ground clean. 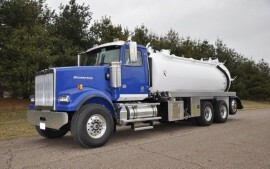 They are mounted with unique tiger general llc flex and horizontal mount system that allows the truck frame and body to float. 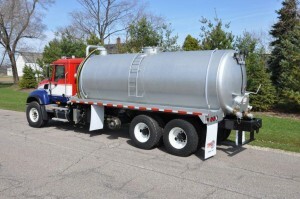 This system shields your tank from undue stress when complete. 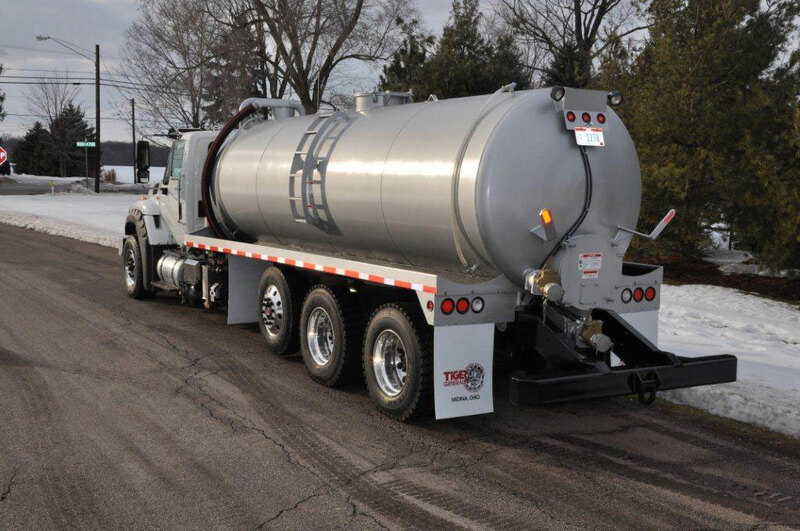 Your tiger general llc vacuum and water truck is sandblasted, primed with 2 stage epoxy primer, then painted with 2 heavy coats of hi solids urethane paint. This process delivers the long life you deserve. Finally we add the sealed light system to make sure the lights work a full long life. 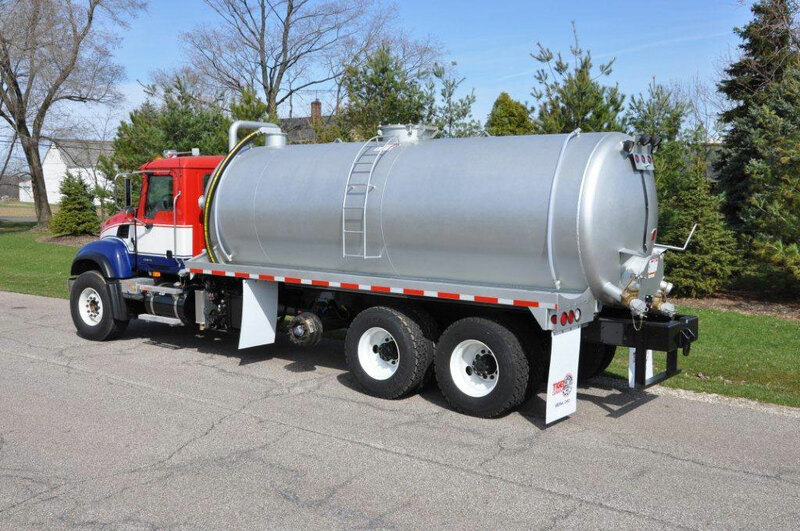 Our light weight aluminum vacuum & water trucks deliver far more payload, about 17% more that steel. Plus they won’t rust. We use American made national vacuum pumping systems with clean durable plumbing and drive systems. All lights are sealed systems, again for long life. Our pumping systems use large high volume pumps, not wimpy little pumps. Fill out your information below and we'll respond promptly to give you more information about our Vacuum / Water Trucks.